Having a San Bernardino County licensed investigator take care of electronic surveillance investigations is your best bet. In fact, private investigators can typically uncover, review, and retrieve information that individuals and local law enforcement cannot. 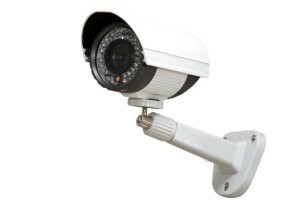 Electronic surveillance is used to keep track of the comings and goings of private properties and businesses alike. However, it is only when electronic surveillance is done correctly that it can be used in a court of law. What Is an Electronic Surveillance Investigation? Electronic surveillance investigations, when lead by a San Bernardino County licensed investigator, are designed to track suspicious activity. As the technological world continues to improve and introduce new devices, electronic surveillance investigations are becoming increasingly popular. A good San Bernardino County licensed investigator will use tools such as closed-circuit television, wiretapping, and cameras to help them with the investigation. Essentially, an electronic surveillance investigation serves as a way to supervise and manage activity and behavior. It is sometimes used for the purposes of protecting and/or influencing behavior or activity in a specific location. Our modern lives depend heavily on electronics, which means information is everywhere. A San Bernardino County licensed investigator can find that information, put it together, and help you present it for a number of legal, ethical, moral, and personal purposes. The security threats presented by unwanted tech-intruders are staggering, but a good San Bernardino County licensed investigator can weed out the problem and help you stay protected. Is an Electronic Surveillance Investigation Legal? If you were to go snooping around on someone’s personal computer, cell phone, or business devices, you would probably be in a lot of trouble. However, when you hire a San Bernardino County licensed investigator to do it for you, there is nothing to worry about. San Bernardino County licensed investigators know how to find the information in a legal and ethical way, which is imperative if you plan on presenting the information in a court of law. Electronic surveillance laws are pretty strict, but an expert private investigator knows ways around those stringent regulations. Each state has its own statutes, so hiring a San Bernardino County licensed investigator is your best bet. Proceeding without the help of a licensed professional might land you in court defending yourself against a lawsuit. It is important to note that electronic surveillance investigation laws vary from state to state. If you feel as though you are being illegally monitored or if you need to have something put under legal surveillance, it is imperative that you hire a private investigator that is licensed in your state. A San Bernardino County licensed investigator will have the knowledge and equipment to do the job right and without breaking any laws. In addition, a San Bernardino County licensed investigator can testify on your behalf when the case goes to court. For more information on an electronic surveillance investigation, or to hire a San Bernardino County licensed investigator immediately, call (951) 800-8232. We provide you with a free initial consultation and price quote for our services.